" /> Land Rover Discovery Sport luxury SUV features innovative features. At Land Rover Colorado Springs we know the value of finding a vehicle that gives you great performance and innovative features at a price that fits comfortably in most budgets. With our impressive selection of the new 2018 Land Rover Discovery Sport, you can be assured of getting a capable and innovative vehicle at a great price. With an estimated 21 MPG city/25 MPG highway, the Discovery Sport is a fuel-efficient vehicle which helps with the consistently fluctuating prices at the gas pump. There are two 4-cylinder, 2.0-liter Ingenium engine options. One delivers 237 hp and the other 286 hp. These powerful and fuel efficient engines make the Discovery Sport a great combination of performance and efficiency. If the 2018 Land Rover Discovery Sport sounds like the perfect vehicle for you, then stop by Land Rover Colorado Springs and find out all the details you need from our knowledgeable sales associates! The purchasing experience at Land Rover Colorado Springs is top-notch! 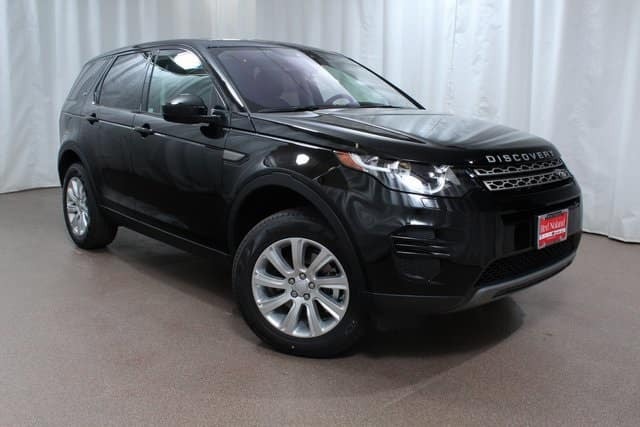 From the attention to detail in our Sales Department to our expert Finance Department, you can expect an amazing experience when you buy your 2018 Land Rover Discovery Sport at Land Rover Colorado Springs!